What is ProFeme® Progesterone Cream? Why do I need ProFeme® Progesterone Cream? Is ProFeme® Progesterone Cream safe for my body? What makes ProFeme® Progesterone Cream better than other hormone creams? How long does it take for ProFeme Progesterone Cream to start working? Do I need a prescription from my doctor to get ProFeme® Progesterone Cream in the USA? Do I have to use ProFeme® Progesterone Cream under medical supervision? How do I use ProFeme® Progesterone Cream? Will ProFeme® Progesterone Cream stain my clothes? How long can I use ProFeme® Progesterone Cream for? How long will one tube of ProFeme® Progesterone Cream last me? What are the possible side effects of ProFeme® Progesterone Cream? If I stop using ProFeme® Progesterone Cream how soon will the effects wear off? Is ProFeme® Progesterone Cream a pharmaceutical grade product? Is ProFeme® Progesterone Cream FDA approved? Does ProFeme® Progesterone Cream use natural, bio identical hormones? Where does natural, bio identical progesterone come from? Do you use genetically modified soya? ProFeme® is a pharmaceutical grade cream used by women to supplement low levels of naturally produced progesterone. ProFeme® is a pharmaceutical grade cream used by women to replace lost levels of the hormone progesterone. Progesterone is essential for reproduction, regulating the menstrual cycle and balancing out the effects of estrogens in the body. Symptoms of low progesterone include: mood changes, PMS, menstrual changes, anxiety and sleep disturbances. (go to our Symptoms page to read more about the symptoms of hormone imbalance). Many women find ProFeme® Progesterone Cream a life-saver at these times as it helps to bring them back into balance. ProFeme® Progesterone Cream is the world's only clinically trialled and tested pharmaceutical grade progesterone cream. It uses natural (also known as bio identical) progesterone and is available in two strengths allowing you to choose the product that best suits your body's needs. It is safe when used at the recommended dose. ProFeme® is a pharmaceutical grade product. Strict manufacturing guidelines mean that the amount of progesterone stated on the label is guaranteed to be in the finished cream. Some progesterone creams available over-the-counter in the USA have very little progesterone in them. In some cases they contain no progesterone at all. Wild yam cream, for example, contains no progesterone nor does the body convert it into progesterone. How long does it take for ProFeme® Progesterone Cream to start working? It usually takes between 4 to 8 weeks, or 1 to 2 cycles. Hormone imbalance develops over many months or even years and so it will take time for symptoms to be reversed. Using ProFeme® Progesterone Cream as directed will ensure that your symptoms improve steadily, with maximum effect achieved after about 12 months. No. 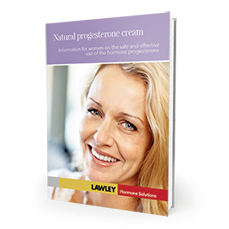 ProFeme® Progesterone Cream is available without prescription and can be ordered online. If you are using ProFeme® Progesterone Cream to help with fertility or to treat more severe gynaecological conditions (such as endometriosis or Polycystic Ovarian Syndrome) we strongly recommend that you do so under medical supervision. See our video for a demonstration. A measured amount of ProFeme® is applied once a day (usually after showering) to the inner forearm or upper, outer thigh in sync with your menstrual cycle. No. Rub the cream into your skin like you would with a moisturizer. It will be absorbed into the skin after about a minute. ProFeme® is odourless, white and will not stain clothes. ProFeme® Progesterone Cream is safe for both short and long-term use. One tube will last between 6 weeks and 4 months, depending on symptoms, the dose and the strength of progesterone purchased. Side effects in the first 2-weeks are a good sign that the treatment is working. The most common side effects of ProFeme® Progesterone Cream are a change in the menstrual cycle and breast tenderness. These will ease over time but if they are too severe for comfort you may need to consider adjusting the dose. For more information about side effects please read the Consumer Medicine Information sheet . If I stop using ProFeme® Progesterone Cream how soon will the beneficial effects wear off? Yes. ProFeme® is manufactured to pharmaceutical grade by Lawley Pharmaceuticals in Perth, Western Australia. The company specialises in the commercial production of bio identical pharmaceutical grade hormone creams. Lawley Pharmaceuticals meets all the international standards of Good Manufacturing Practice (GMP) and all production is conducted in an Australian government approved pharmaceutical manufacturing facility. Our products are manufactured in Australia. The Australian equivalent to the US FDA is the Therapeutic Goods Administration (TGA). ProFeme® Progesterone Cream and AndroFeme Testosterone Cream are listed on the Australian Register of Therapeutic Goods (ARTC) which can be accessed from the TGA website at www.ebs.tga.gov.au. This cream is not currently FDA approved. Natural, or bio identical, hormones have the same chemical fingerprint as the hormones produced by your own body. This means that your body is able to accept the treatment without the unwanted side effects of synthetic hormone replacement. ProFeme® Progesterone Cream and AndroFeme Testosterone Cream use only the natural, bio identical hormones progesterone and testosterone. Yes. Natural, bio identical hormones are identical in every way to the hormones produced by your own body. This is what we use in ProFeme® Progesterone Cream. Wild yam and soya have a chemical structure similar to progesterone. The plant hormones diosgenin and sigmasterol, found in these crops, are converted in the lab to make natural, bio identical progesterone. This results in a chemical structure identical to that produced in the body. Wild yam cream is not a progesterone cream. The body cannot convert wild yam into progesterone as is often inferred in wild yam marketing material.